Go climbing in Bornholm’s unique rocky scenery with spectacular views of the sea. Try abseiling at a derelict quarry in one of the island’s fantastic rift valleys. Rock climbing is life-affirming and Bornholm is a great place to climb and to abseil. Especially along the rocky coast there are more than 400 secured climbing trails. Moseløkken Quarry (Allinge), Ringebakke Quarry (Vang) and Klippeløkken Quarry (Rønne) are over 150 bolted tracks, as well as you’ll find many boulder problems along the Ørnebjerg coast (Hammeren) and in the Troldeskoven Forest (Stammershalle). The nature of Bornholm is unique to climb and abseil in and the island offers many variations of climbing and abseiling, which makes it exciting and varied. On Bornholm, you can climb coastal cliffs. You can climb in working and disused quarries, in rift valleys, on ice etc. 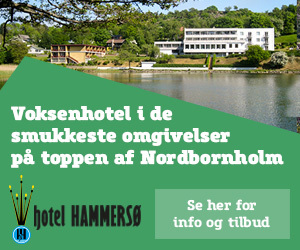 – there is nothing to stop you from climbing and abseiling on Bornholm all year round! Be careful in working quarries! The size and shape of Bornholm makes it easy find a suitable place to climb – regardless of the weather. 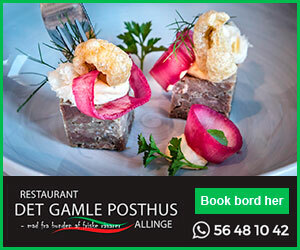 The perfect climbing guide on Bornholm - the app describes climbing on the island of Bornholm and features a crag listing with information on the rotutes on that crag, including length and difficulty. The descriptions are supported by images on most crags. Keen on climbing, need accommodation or something else? Here you can try climbing and abseiling - or find cosy and reasonable accommodation.